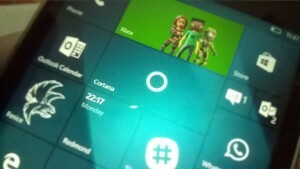 Windows 10 Mobile Build 14267 on Lumia 640 or any Lumia, is the first build for Windows Insiders on Fast Ring from Windows Redstone branch, which is supposed to bring new features as well as improvements to the core part of the OS. 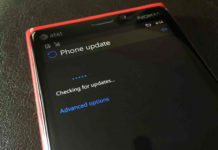 As reported earlier Windows 10 Mobile Build 14267 is currently insiders on Fast Ring from Windows Redstone branch, which is supposed to bring new features as well as improvements to the core part of the OS. 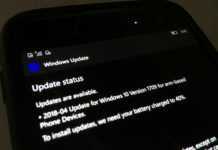 As reported earlier Windows 10 Mobile Build 14267 is currently available for selected Lumia 950, Lumia 950 XL and Lumia 650 (Lumia 550 was removed from the list due to charging issues). 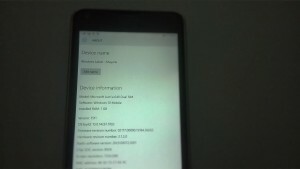 Ah, Installing Windows 10 Mobile Build on Lumia 640 or any Lumia which is not supported to get Windows Redstone build, it’s pretty hard work, if you are not experienced in unlocking, Interloping Lumia, it maybe bit tough for you, but still not difficult. One of the striking thing in Windows 10 Mobile Build 14267 that it is not a cumulative update and there are few enhancements along with pesky bugs. Downloading Windows 10 Mobile Build 14267 on Lumia 640 took just 20 minutes and preparing to install took around half an hour. Overall we reached migration process after an hour. We faced some issues in migration steps, in which the device freezes when screen timeouts. To let the migration step complete it took 10 minutes, but we need to continuously tap on the screen, so the Lumia 640 screen doesn’t timeout, Yep it’s frustrating. After migration process completed, and when I pulled the action center and clicked on action center’s toggles, the Lumia 640 froze. We performed a soft reset, and thankfully most of the issues sorted out. 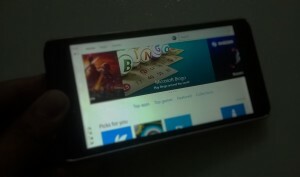 Windows 10 Mobile build 14267 is a little bit buggy on our Lumia 640, but overall it works much better than Windows 10 Mobile Build 10586.107, you can read our Windows 10 Mobile Build 10586.107 review on Lumia 640 by clicking here. Windows 10 Mobile Build 14267 includes few new features and improvements. In our mobile build 10586.107 reviews, we pointed out an issue which was causing the apps which were installed in SD Card took more than an hour to work properly either open. Microsoft has fixed this issue in Windows 10 Mobile Build 14267 and apps which are installed in SD Card works much faster. ana listen and search for the song that’s playing. Word Flow now works in the address bar in Microsoft Edge on your phone:For fans of Word Flow, we heard your feedback, and we have re-enabled the ability to use shape writing in the address bar in Microsoft Edge on your phone! 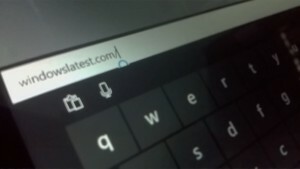 Open InPrivate tabs more easily in Microsoft Edge on your phone: We take the need for private browsing seriously, and InPrivate has been a feature of Microsoft Edge in Windows 10 Mobile from day one. However, we received feedback from Windows Insiders that the InPrivate feature was either hard to find or missing on their phones. As a result, we’ve moved the button to create a new InPrivate tab to appear right next to the new tab button. The next time you need a private tab in Microsoft Edge, you’ll find it right in your tabs view. Try it out on your phone and let us know what you think. Improved Download Prompts in Microsoft Edge: Microsoft Edge will now show a prompt when you start a download, allowing you to cancel unwanted downloads. Messaging + Skype improvements: You can now attach photos to your Skype messages by tapping on the paperclip icon at the lower left as you’re composing a new Skype message to a contact. Additionally, you can also invoke the Camera app to take a photo to attach to your Skype message too or send along your location. It is worth to mention Windows 10 Mobile Build 14267 bring backs the 3G Only option. Which is one of the most requested feature by Windows Insiders. One of the notable thing in Windows 10 Mobile Build 14267 is the ability to hide navigation bar on any apps including Twitter and WhatsApp. 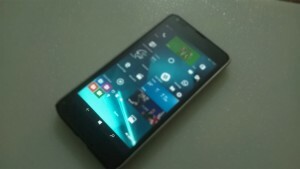 The feature was not working on previous builds due the app were not compatible with Windows 10 Mobile. However, the issue is finally fixed in Redstone Build. We have noted down some of the most downloaded apps performance below, it worth to note sometimes performance varies a little bit in every device. Windows 10 Mobile Build 10586.107 is very fast and we recommend everyone to upgrade to this build now. We have not faced any major bugs or issues which affecting our user experience, it is worth to note the Build could be a bit laggy on a 512MB RAM device, but it is still faster than previous builds.